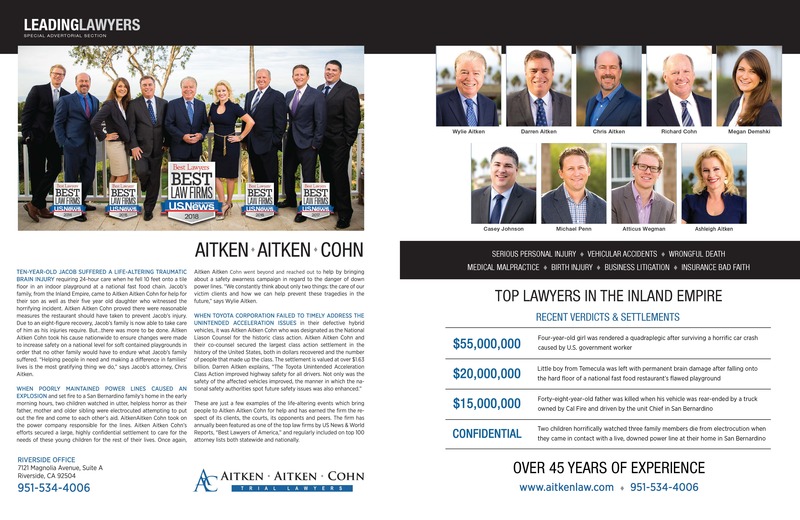 Aitken Aitken Cohn is proud to announce that all our attorneys have been named among the Top Lawyers of the Inland Empire for the third year in a row! Wylie, Darren, Rich, and Casey have also been highlighted for their AV-rating on Martindale-Hubbell, a ranking reserved for only the top five percent of lawyers in the highly respected Martindale-Hubbell Directory. It is based on a variety of objective factors, including professional ability and high ethical standards. Other considerations include legal experience, judgment, communication ability, legal knowledge, and analytical capabilities. 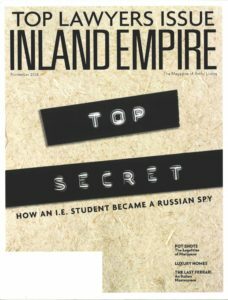 The list was curated and published by Inland Empire Magazine and the annual edition highlights only the best Inland Empire lawyers. Aitken Aitken Cohn has been handling cases in Riverside and the Inland Empire for over 40 years. The whole team looks forward to continuing to serve our clients in the Riverside and San Bernardino counties! Aitken Aitken Cohn is a boutique law firm representing cases of serious personal injury – wrongful death, vehicular accidents, medical malpractice – among other areas of practice, including business litigation and mass tort. To learn more, check out our website, or call now for a free consultation at 951-534-4006.